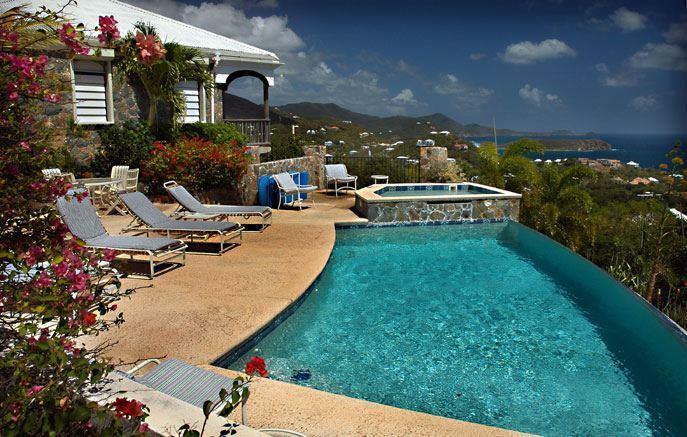 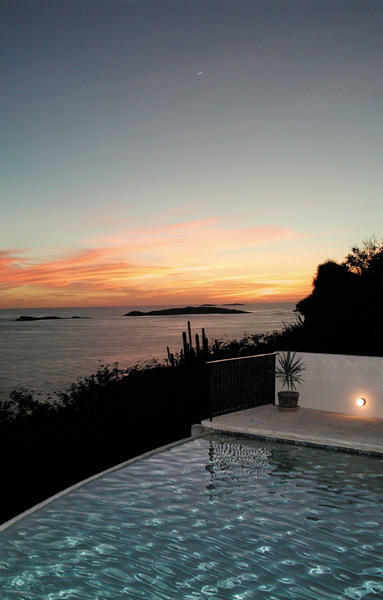 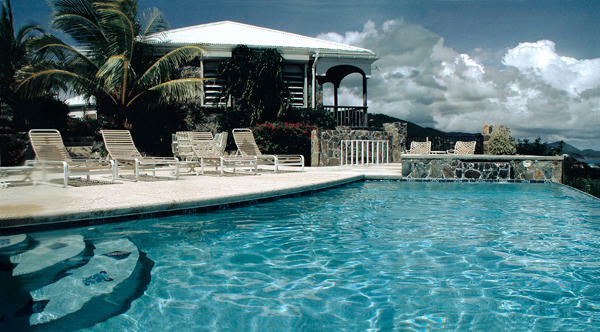 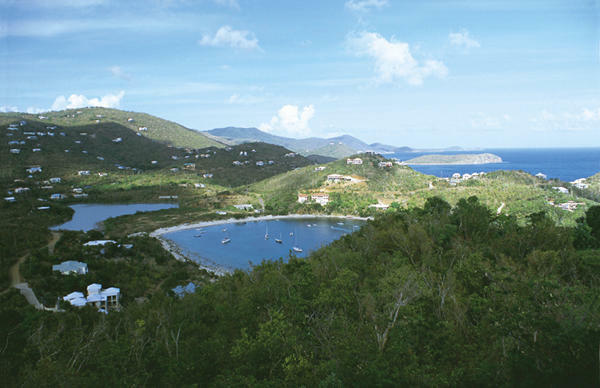 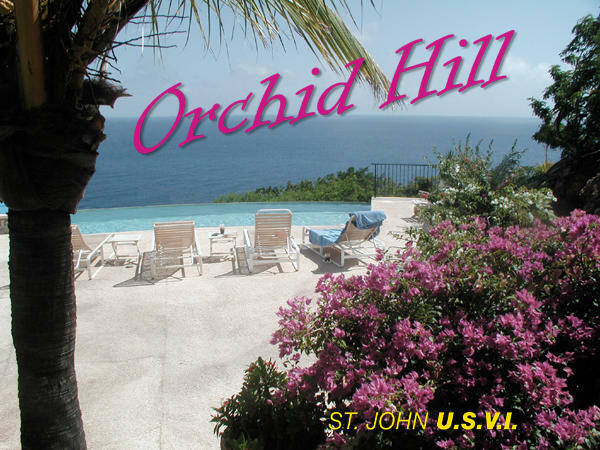 Orchid Hill, a classic Caribbean beauty located on a private cul-de-sac just a short drive from Cruz Bay, is a must see. 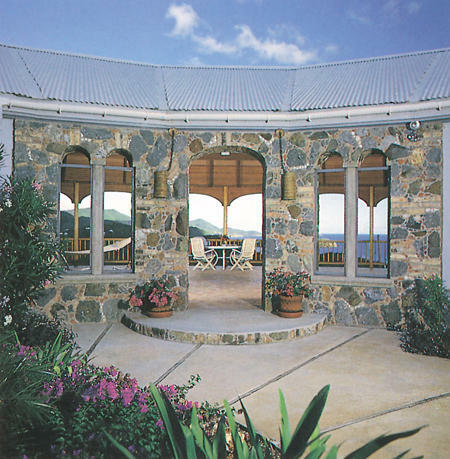 Designed by local Architect Glenn Speer to capture the full range of views framed through graceful arches, you'll likely spend most time on the spacious covered gallery enjoying gentle cooling trade breezes. 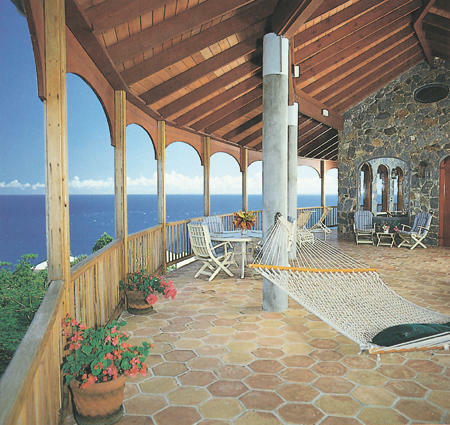 Crafted of traditional island stone with vaulted ceilings, custom mahogany windows and cabinetry throughout, the two bedroom home is warm and inviting. 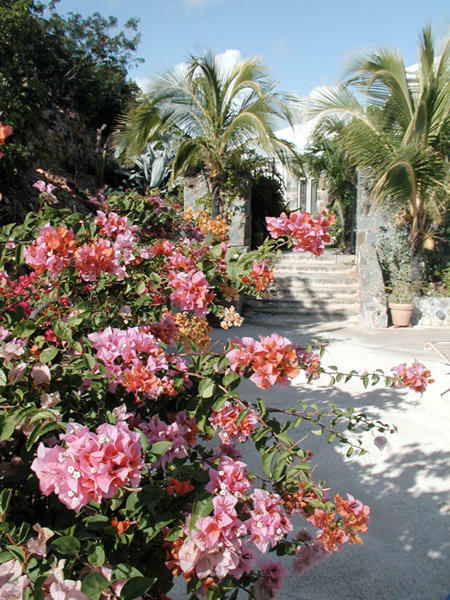 Stroll through lush gardens that line the walkway to an inviting infinity edge pool, sunning patio and hot tub placed to capture fiery sunsets.